This image was just used by Elsevier's Marketing Communications department in an email campaign to authors about our Communications Preference Center. 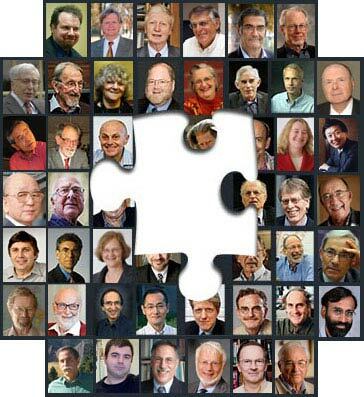 It was accompanied by the caption "All 2013, 2012 and 2011 Nobel Prize winners published with Elsevier." This email campaign has been highlighted on social media and blogs as an example of Elsevier perpetuating the negative stereotype that science is the province of white men. That was certainly never our intention. With the wisdom of hindsight, we should have chosen a different image, or have included the several female winners prior to 2011 who have published with us. Unfortunately, we didn't. Below we have highlighted what the image would have looked like if we had gone back to 2009. We agree it looks much better. And as an update to this campaign, we are sending this story through all of our journal-related social media channels so it will reach over 796,000 combined followers – more than 10 times as many people than the original email campaign. 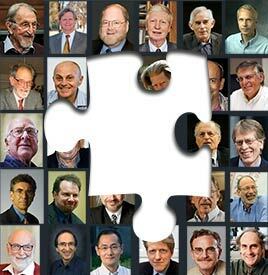 We wanted to include even more women Nobel laureates, but we only have permission to use the ones in the photo. The original image does highlight a problem that concerns us all – the fact that science is not an even playing field – and we want that image to change. In addition to updating this campaign, there are numerous other ways we are working with you to change this image. Over the past seven years, the Elsevier Foundation has invested more than $2 million in 35 grants to support programs that promote equality in science. 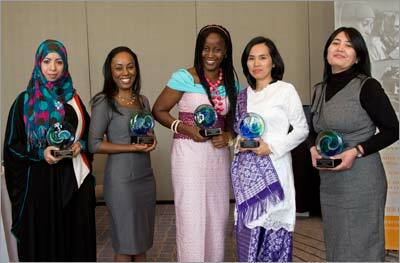 At the annual meeting of the American Association for the Advancement of Science (AAAS) this week, we are honoring five chemists with Elsevier Foundation awards for early career women scientists in the developing world, each for research that looks to nature for ways to address cancer, malaria and other medical problems. This follows the Elsevier Foundation grants – totaling $700,000 – announced two months ago. 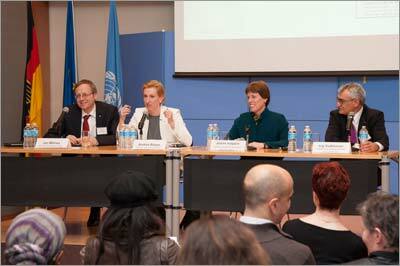 The money was shared by two programs; Innovative Libraries in Developing Countries and New Scholars for early- to mid-career women scientists. Both are initiatives we are enormously proud to be involved in. You can find out more about these grants by clicking on the Elsevier Connect category dedicated to Women in Science in this website's left-hand sidebar. There you will find a host of other articles exploring STEM diversity, the work of the Elsevier Foundation, and the achievements of pioneering women scientists. This week, two new articles have joined their ranks: STEM diversity initiatives — what works, what doesn't and New book proposes solutions for STEM workforce retention, about a publication we have just launched in partnership with the Association for Women in Science (AWIS). We are also extremely active in Research4Life, an organization dedicated to reducing the scientific knowledge gap between industrialized countries and the developing world. As a founding partner and the leading contributor, Elsevier makes all of ScienceDirect and Scopus -– including more than 2,000 journals and 7,000 ebooks - available through Research4life. Everyone at Elsevier works hard to understand and combat the challenges around STEM diversity. Our hope is that by outlining just a few of the projects we are involved in, our commitment has become a little clearer. We believe that by working together we can achieve our goal – to ensure that in the years to come, an image of recent Nobel Prize winners will not perpetuate, but transform, the negative stereotype that science is the province of men. 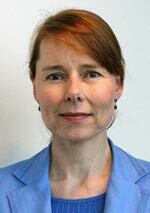 Nicoline van der Linden is Senior VP of Marketing Communications and Researcher Engagement at Elsevier. She has a MSc in Medical Biology from the University of Amsterdam and an MBA from the Rotterdam School of Management, both in the Netherlands. She started her career 25 years ago as a researcher in the life sciences, working as a molecular biologist in the pharmaceutical industry in Basel. In her two decades at Elsevier, she has held various roles in publishing, product development, marketing communications and researcher engagement. She is based in Amsterdam. Thanks Elsevier or your commitment to diversity. As a first step, perhaps you could commit to better diversifying the editorial boards of your journals? You say you do not contribute to the lack of Nobel Laureate diversity but the barriers to publication that women and minorities continue to experience do in fact contribute to a tougher road to their being successful in science. Publishing in top journals is a road to better students and more resources--a road that helps to lead to more success. A more diverse editorial board is not difficult to achieve these days if there is a will to do it by the top Elsevier leadership. As so many of the best women scientists have emerged over the past 20 years, it does mean that it is now time to rotate off some of the men that have served on these ed boards for 20, 30, or even 40 years! I think achieving at least 25-30% women on most of your journals editorial boards over the next year would be a good start to a fairer world. Dear Ben, thank you for your interest in this story. We agree this is an important discussion to have. We currently have a rotation policy in place to appoint the best Editors in Chief, and many of them are women indeed. As you say, it is important that we will continue to have this discussion with our Editors in Chief; like anyone else, we would like to see the figures improved upon even more and faster.